Does the world really need "diet" avocados? A Spanish company has been making headlines this week after announcing that it will be launching reduced-fat avocados later this month. 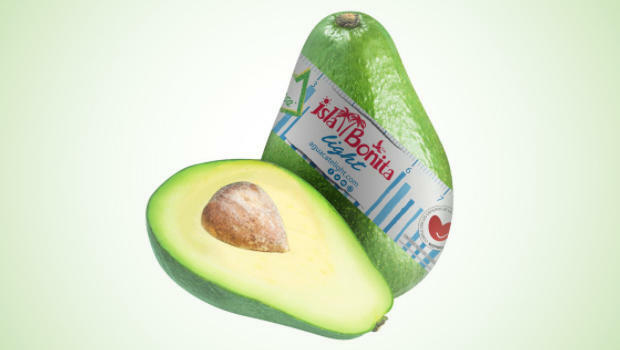 According to Isla Bonita's website, the "Avocado Light" will contain 30 percent less fat than regular avocados. The company claims the product is 100 percent natural and "cultivated in very specific climates" in Latin America. It also says the fruit ripens faster, oxidizes slower (meaning it won't turn brown as quickly when sliced), and will be produced year-round, though at this time it will only be available for purchase in Spain. But does the world need a low-fat version of the much beloved avocado? Generally lauded as a"super-food," avocados contain heart-healthy monounsaturated fat that may help lower LDL cholesterol levels – often referred to as the "bad" kind of cholesterol. "Avocados are also a good source of fiber, and this combined with its healthy fat helps stabilize blood sugar levels and promotes satiety after meals," Kelly Hogan, a registered dietitian and clinical nutrition and wellness manager at the Mount Sinai Dubin Breast Center, told CBS News. "They also contain a variety of vitamins and minerals, and consuming it with other plants helps our body absorb fat-soluble vitamins (A, D, E, K) found in various foods." While millennials in particular are known to consume quite a bit of the stuff in trendy dishes like avocado toast, the recommended serving size of an avocado is actually just one-third of the fruit, according to California Avocado Commission. But Hogan said this is "arbitrary guidance." "We have to think about a lot of things here," she said. "What kind of meal is being eaten with avocado in it, for example. This recommendation can vary by individual as well — their size, activity level, hunger levels, etc." An average medium-sized avocado has about 250 calories. Low-fat avocado varieties are not new and include Brooks Tropicals' "SlimCado," which is sold in the U.S. and contain "up to half the fat and a third of the calories" of other varieties, according to the company website. Yet, experts say eliminating this nutritional content can also sacrifice taste. While that is subjective, Nina Crowley, Ph.D., a registered dietitian nutritionist and health psychologist at the Medical University of South Carolina, describes low-fat avocados as "very flavorless" and lacking "the redeeming quality of avocados — that buttery texture, delicious mouth-feel." "Personally, I think it's incredible that there are literally thousands of foods that need a 'nutritional spruce-up,' so why pick on the avocado?!" Crowley told CBS News in an email. But others say there may be a place for low-fat avocados in our diet. "As long as the nutrient content of this version of avocado was not somehow artificially manipulated, then a reduction in fat from 85 to 55 percent may serve a purpose on our toast, in our smoothies, or as a condiment on top our salmon dinners," said Nancy Z. Farrell, a registered dietitian nutritionist and spokesperson for the Academy of Nutrition and Dietetics. Both Hogan and Crowley expressed concern that this is another example of how society tends to demonize all types of fat, even though a healthy amount of fat — preferably the monounsaturated fat that is found in avocados — is essential for a balanced diet. "I have patients all the time who still think all fat is 'bad' or 'fattening' and that low fat or fat-free everything is the way to go," Hogan said. "This stems from the low-fat diet craze of the 80s and 90s, and can really stick with some people." Crowley said that an important lesson from that era is that "when you eliminate or reduce fat too much, you have foods that are not very filling, and you need to eat more to feel satisfied." Hogan agreed. "Fat is not something to shy away from in the diet," she said. "I'd hate to spread the message that lower fat or 'diet' avocados are 'good' or 'better' than regular avocados. This fuels the diet mindset that can be so toxic in today's society. The bottom line is: eat regular avocados, enjoy them both because they are delicious and the vast nutritional benefits they provide the body."